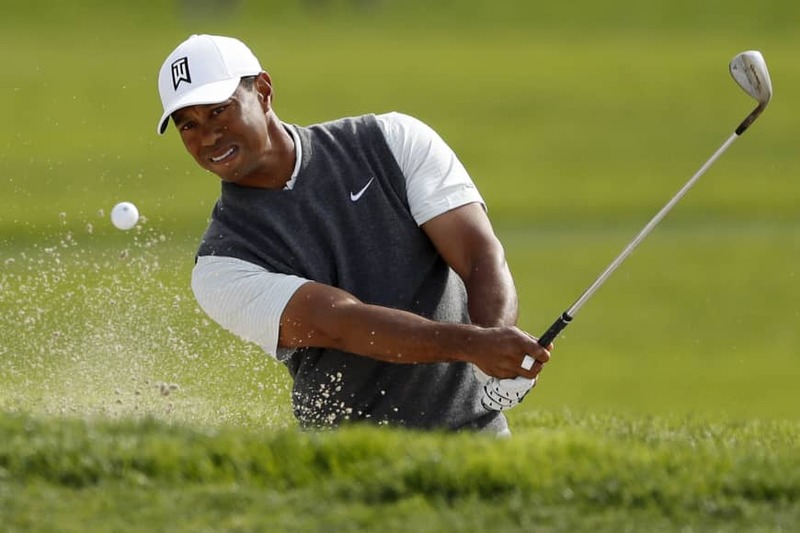 SAN DIEGO - Tiger Woods felt good in his first competitive round of 2019, from his tee shot right down the middle on No. 1 at Torrey Pines South to the 12-foot birdie putt on 18 that elicited roars from the crowd. Woods was pleased with his day overall on the tougher South Course of the public layout on the bluffs above the Pacific Ocean. Woods’ last start was four months ago, when he won the Tour Championship. Jon Rahm shot a 10-under 62 on the North Course for a one-shot lead over Justin Rose and Doug Ghim. The top five players all played the North. Hideki Matsuyama shot a 6-under 66, finishing the day tied with eight other players for sixth place. Woods said the shot that got the juices flowing was his first of the day at one of his favorite courses. He has made Torrey Pines his personal playground over the years by winning a Junior World title as a teenager, this tour stop seven times and the U.S. Open in 2008 for his 14th major. “Yeah, tee shot on 1 was nice because normally I haven’t really played that hole all that well,” said Woods, who was paired with Tony Finau and Xander Schauffele, who played at San Diego State. Woods’ caddie, Joey LaCava, “was asking me going down the first fairway, ‘What did you play this hole in the U.S. Open?’ I said I played 6-over in the first four rounds. I made par in the playoff, which was great.